After starting its The Rock Machine Turns You On campaign in 1968, CBS continued releasing bargain compilations that consolidated its position at the forefront of contemporary US music. The striking cover of 1970’s Fill Your Head With Rock featured electric violinist Jerry Goodman in full curtain-haired reverie while the comp featured his band The Flock’s version of The Kinks’ Tired Of Waiting; hardly representative of an album that pushed the jazz-rock envelope further out than fellow Chicagoan label-mates Blood, Sweat & Tears and CTA. 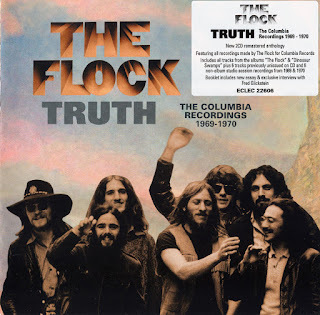 With enthusiastic sleevenotes by John Mayall, 1969’s self-titled debut started with Goodman’s keening Introduction ushering in The Flock’s hefty blend of densely textured jazz-rock charged with classical and avant jazz flavours, climaxing with the epic blues of Truth. 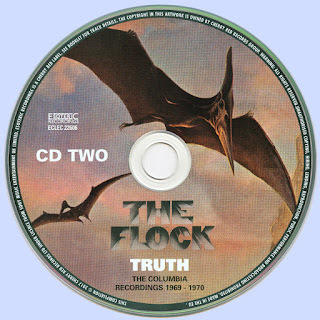 Also helmed by veteran jazz-classical producer John McClure, 1970’s LSD-inspired Dinosaur Swamps – here dubbed their Sgt Pepper’s by guitarist Fred Glickstein – saw The Flock flying further into exotic experimental areas to forge an American prog milestone. Perhaps inevitably, all these directions were already pulling the band apart when Goodman was poached for the Mahavishnu Orchestra, sealing their fate. 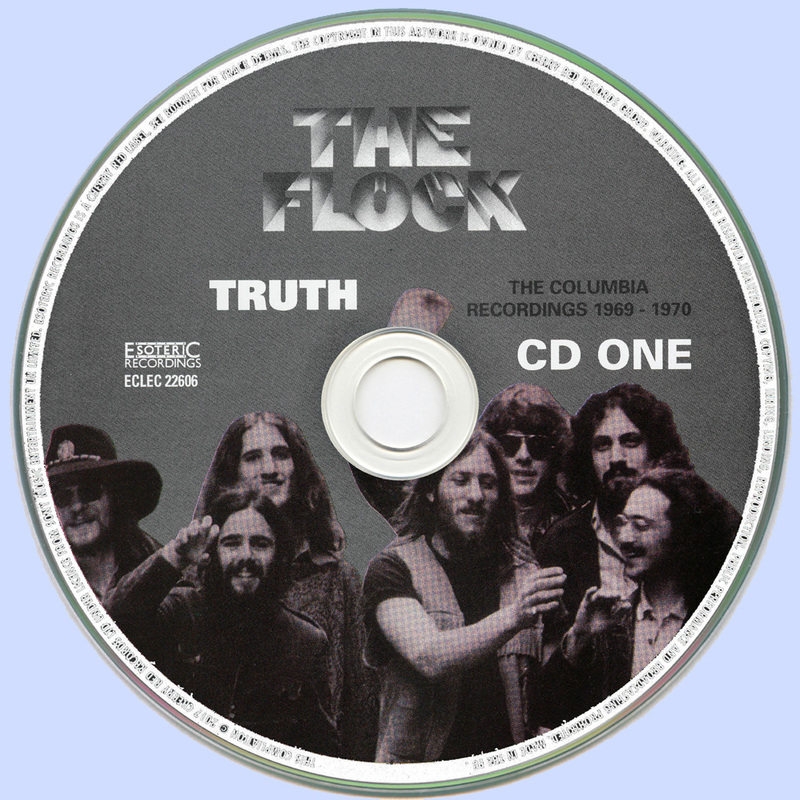 This collection corrals both albums, along with edits and out-takes, making for a compelling account of this overlooked gaggle.